This global investment trust has been on my watchlist for some time as it offers exposure to some areas of potential such as robotics and immunology which I hope will provide some good prospects for growth over the coming decade. 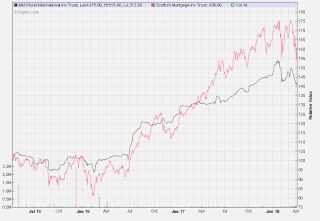 The recent pull-back in the markets has provided an opportunity to add the trust to my portfolio to sit alongside Scottish Mortgage as a long term growth play. However, at the current price of 474p, the market value of the trust is only £165m compared to £6.5bn for SMT. Mid Wynd International is a theme-based global investment trust. Artemis took over the management of from rival investment house Baillie Gifford in spring 2014 after long standing manager Michael MacPhee retired. During this period the share price has increased from 275p to 475p - up 72% and the dividend is up 34% from 3.8p to currently 5.1p. The management team led by Simon Edelsten have built a portfolio of high-quality holdings which focus on a number of trends which offer the prospect of long term growth. This approach is combined with the strategy of value investing which means a disciplined assessment of price to maximise value for money. Obviously there are many options to choose from in any particular theme. The management select from companies with a good record on profitability, good cash generation, a strong balance sheet and identify those which offer a significant barrier to entry for competitors. The strategy is to hold around 60 - 70 holdings between 8 to 10 themes. Each individual holding is limited to a maximum of 3% of the total portfolio. Last year the managers decided to offload their shares in Amazon after a very good run and switched the proceeds into Japans tech stocks Nabtesco, Daifuku and Yaskawa. Here's an article on AIC which gives more background. 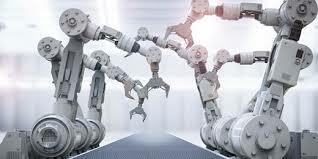 Current themes include Automation/Robots 21%, Emerging Market Consumer 14%, Tourism 13%, Healthcare & Immunology 10%, Online Services 10% and Scientific Equipment 9%. The main areas for global investments are USA 42%, Europe 21%, Japan 17% and Emerging Markets 14%. The trust has management charges of 0.5% and ongoing charges are 0.67%. Over the past year the company have paid total dividends of 5.1p which gives a current yield of just over 1.0%. The manager Edelsten and chairman Malcolm Scott QC both have a significant personal holding in the trust which I always attach importance to when considering a purchase as the interests of management and investors are aligned. 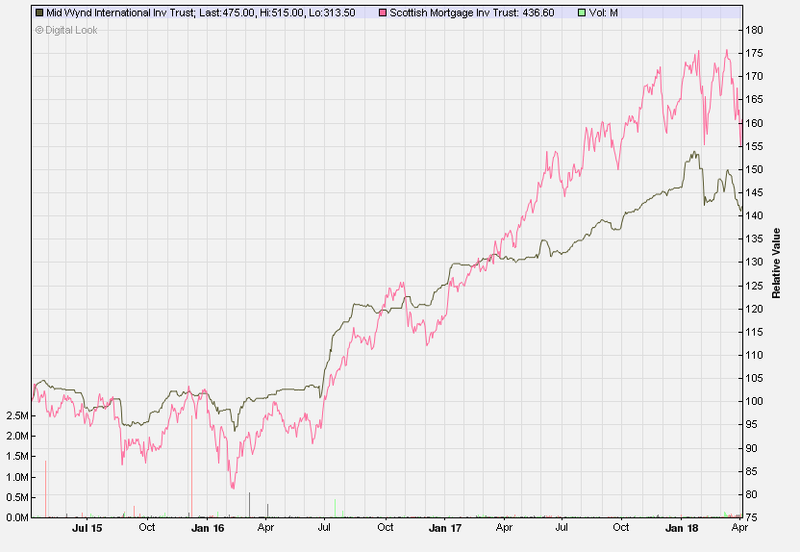 Interesting that the largest shareholding is held by Alliance Trust from the same global growth sector. The disciplined investment process and portfolio construction has provided a decent return averaging around 14% p.a. since the team took over from Baillie Gifford...fingers crossed this can continue for me.